This week’s version of Woman Crush Wednesday is coming from the U.S of A. So let’s crush on an American female foodie then shall we? 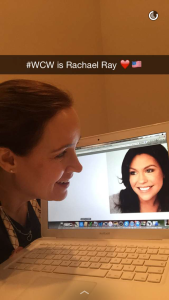 And who is the embodiment of the American ‘can do’ spirit but none other than the famous Rachael Ray. She stole our hearts with her 30 minute meals cooking demos, and has now leapt to the heights of daytime television queen. With her own show, magazine and numerous awards to line her shelves, she is the perfect gourmet gal to give us ambition inspo for 2016 and beyond. Born in New York to an Italian family, Rachael grew up cooking and eating well. Though she never had formal training she had vision to see a gap in the market. What she landed on was the fact that many people claimed they didn’t have time to make a meal in their own homes. So she came up with the concept of thirty minute meals to prove that in the time it would take to pop a processed frozen meal in the oven, or go to the drive thru for some fast food, it was possible to make a home cooked ‘from scratch’ meal that was YUM-O! This revolutionized many households, and literally made her a household name. Her popularity on the Food Network led to the support from Oprah Winfrey to launch the Emmy winning Rachael Ray show. While most known for her dinners, Rachael also has some great brunch and breakfast recipes. 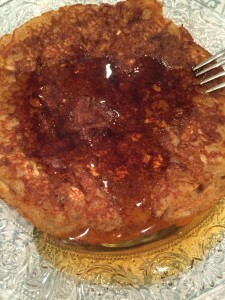 This one for Oatmeal Cookie Pancakes is so amazing. The smell alone makes you feel like you have a dozen cookies in the oven. But they are totally wholesome (and can be altered to make them gluten free or low fat if you desire). I made up the whole batch of batter so that we could freeze some pancakes to take out and heat up as needed. These pancakes are light and fluffy but also have a nice surprising texture. 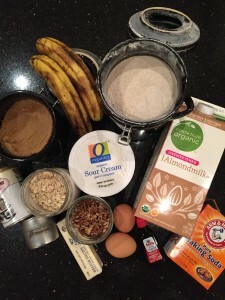 This recipe also comes at a great time. Many are already thinking about Pancake Tuesday which is in a couple of weeks. This is the time to start testing out some new flapjack fun with variations on the traditional. And the fact this this is also a cookie flavored affair with the cinnamon, nuts and raisins couldn’t make breakfast any sweeter. Then again, Rachael is awesomely sweet herself. She has given back to others helping young kids, families and dog charities. Hence she is such a special Woman Crush Wednesday, and Everyday! We love you Rach! Thanks for being our WCW! 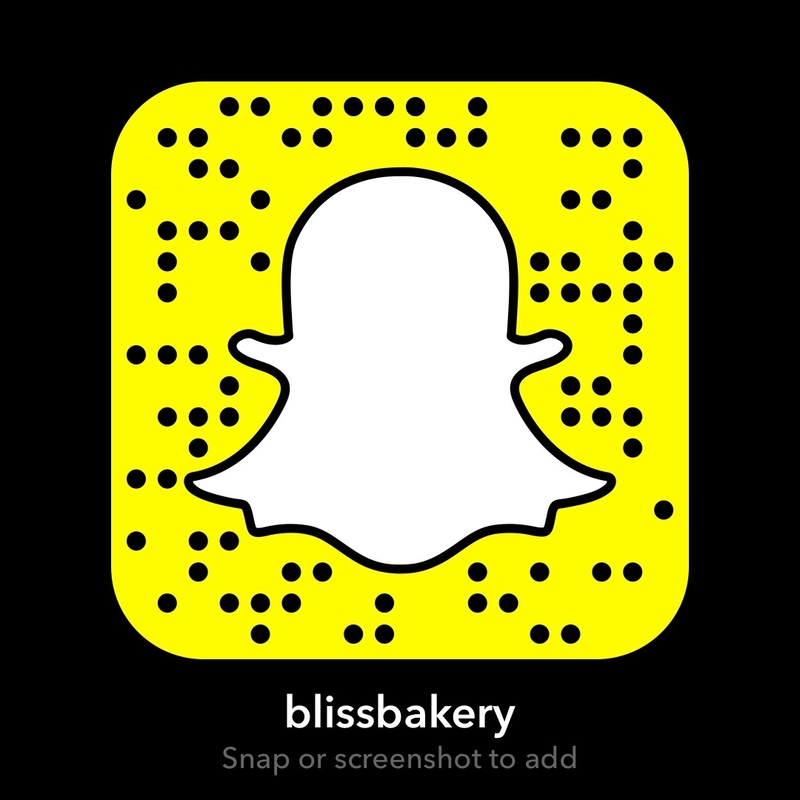 The only thing missing is our sweet Pitt Stella as she would have loved to be part of the snapchat tutorial today (username: blissbakery). Especially since you are a dog lover too! But since I am over here in the States at the moment with the family, Stella had to stay back across the Pond. Here’s hoping you have a fun Shrove Tuesday Pancake Pandemonium with these or any of your other pancake recipes! Next > Foodie Fieldtrip Friday Supersized!